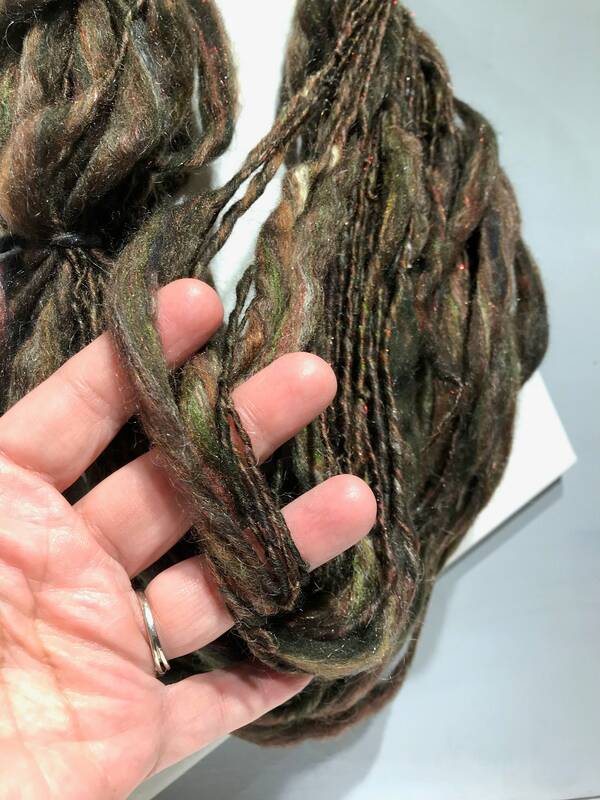 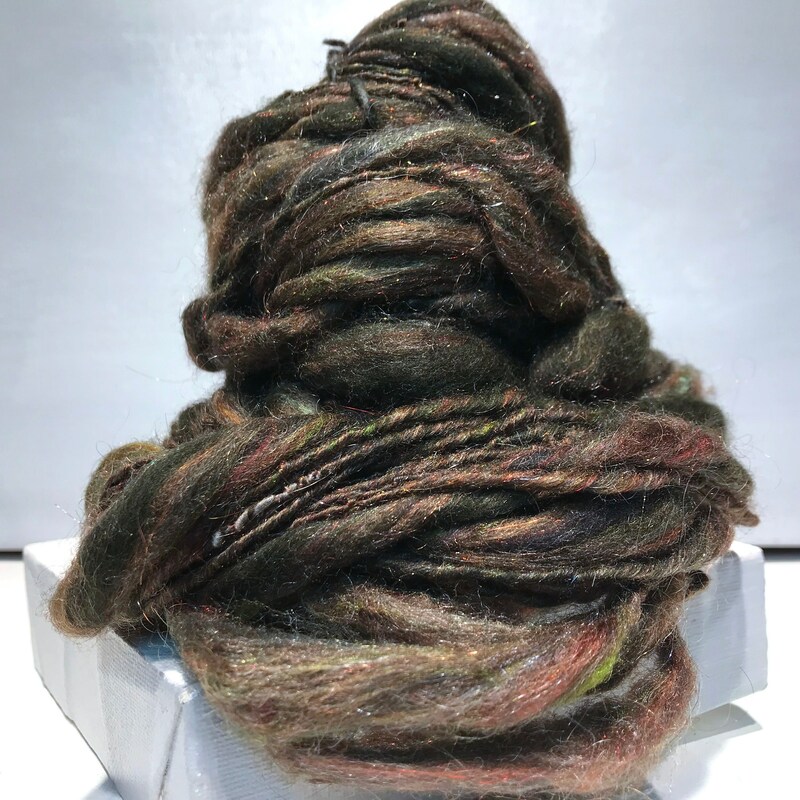 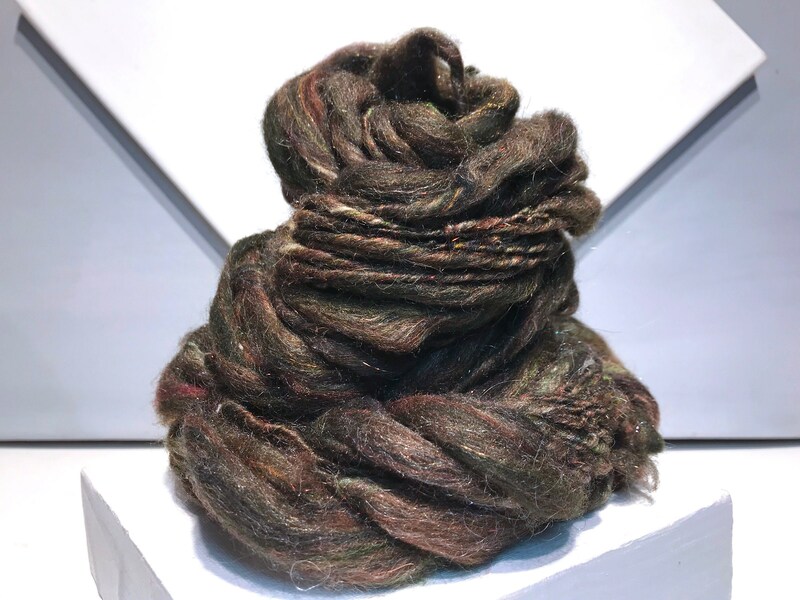 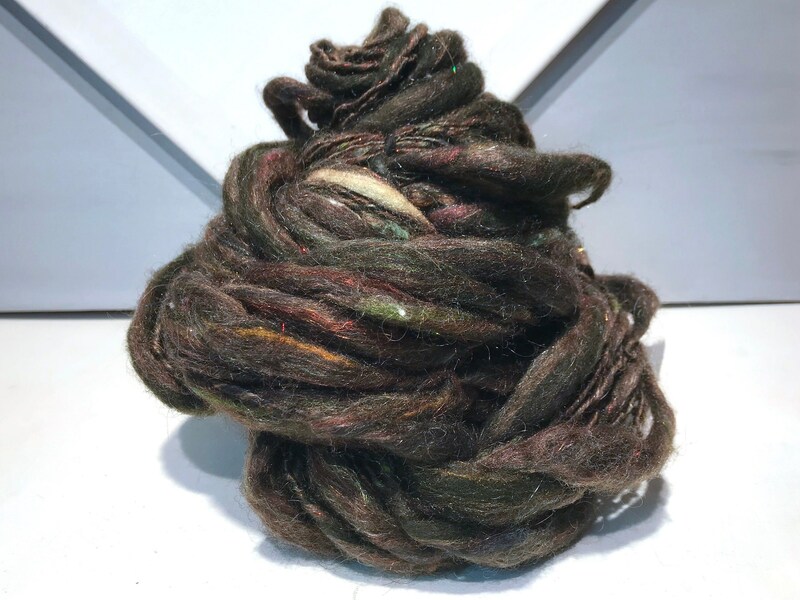 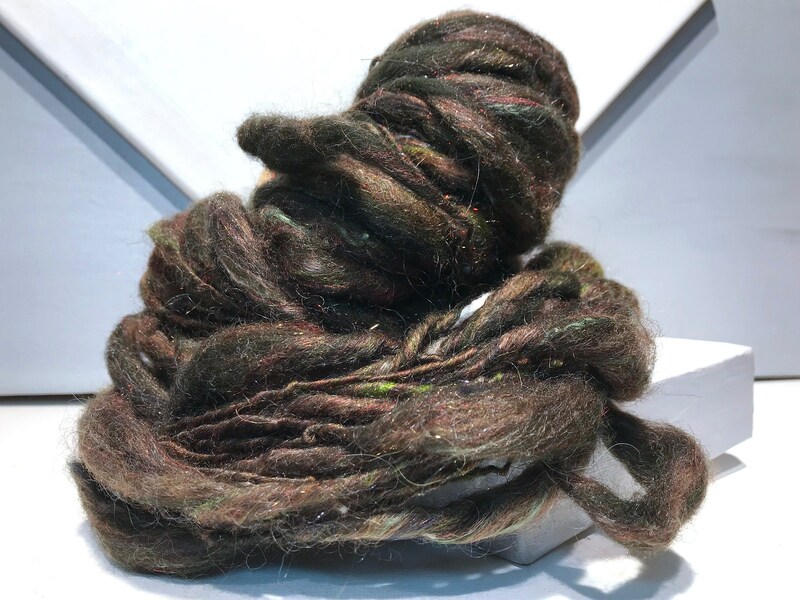 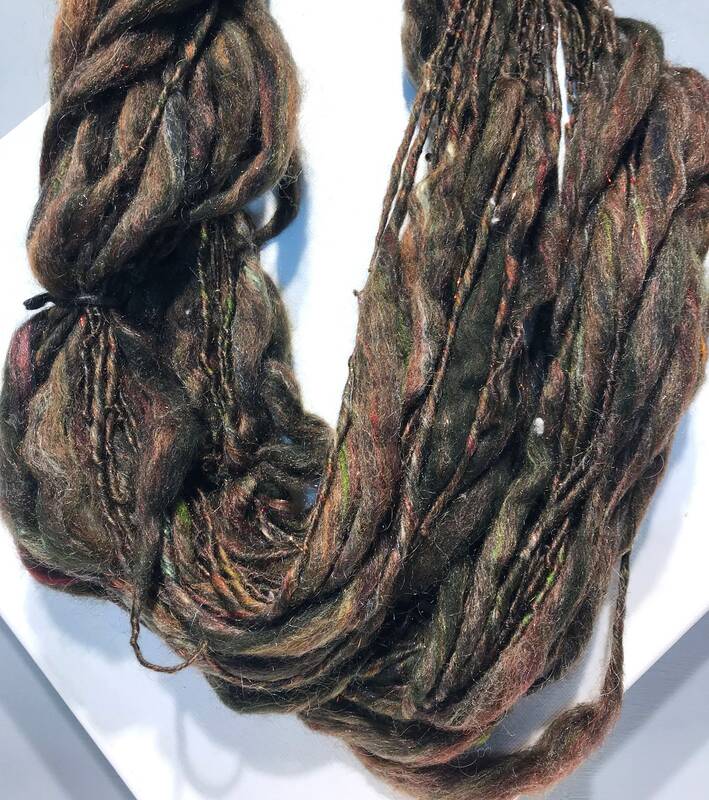 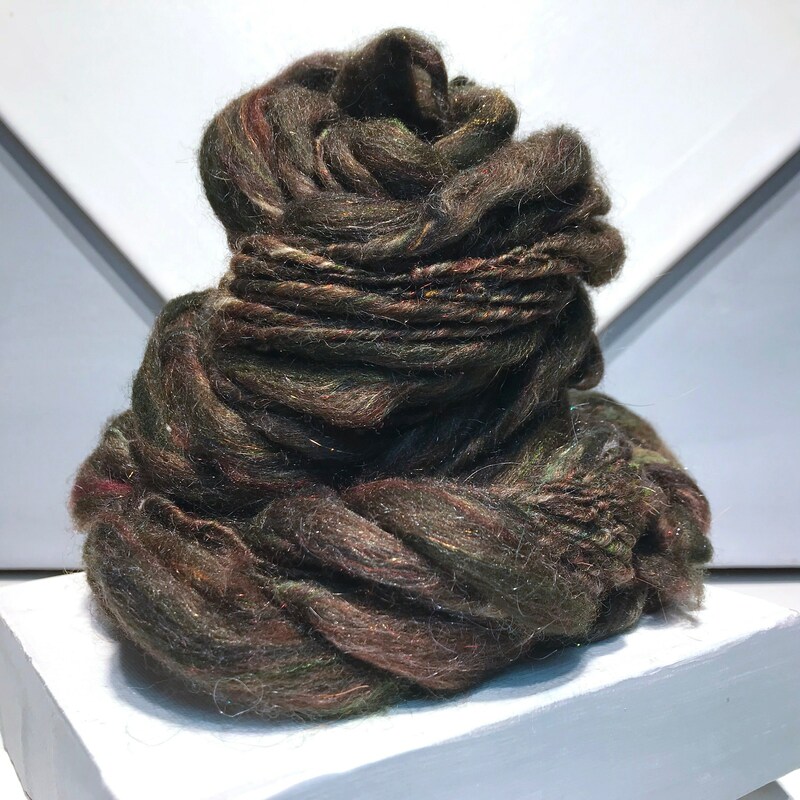 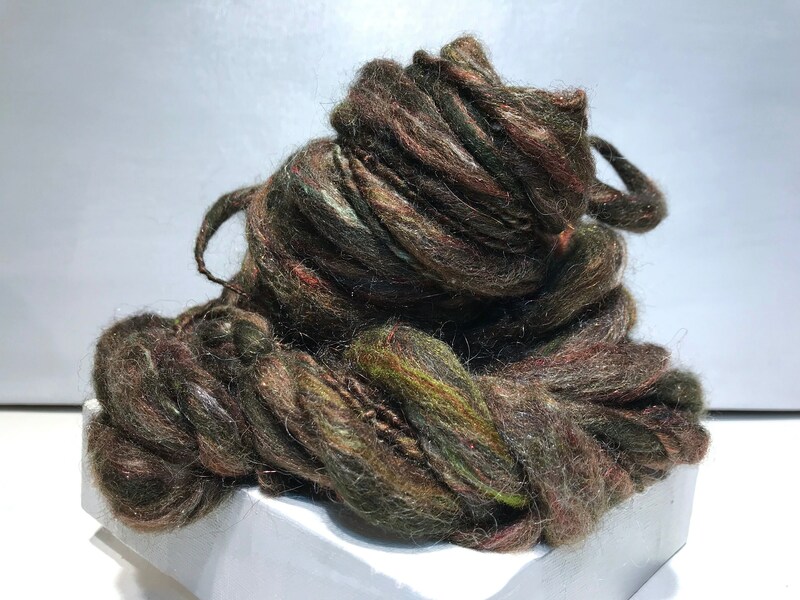 Great for knitting, crocheting, weaving and felting, this yarn contains a combination of commercial and hand painted fibers mixed with Angelina and Firestar. 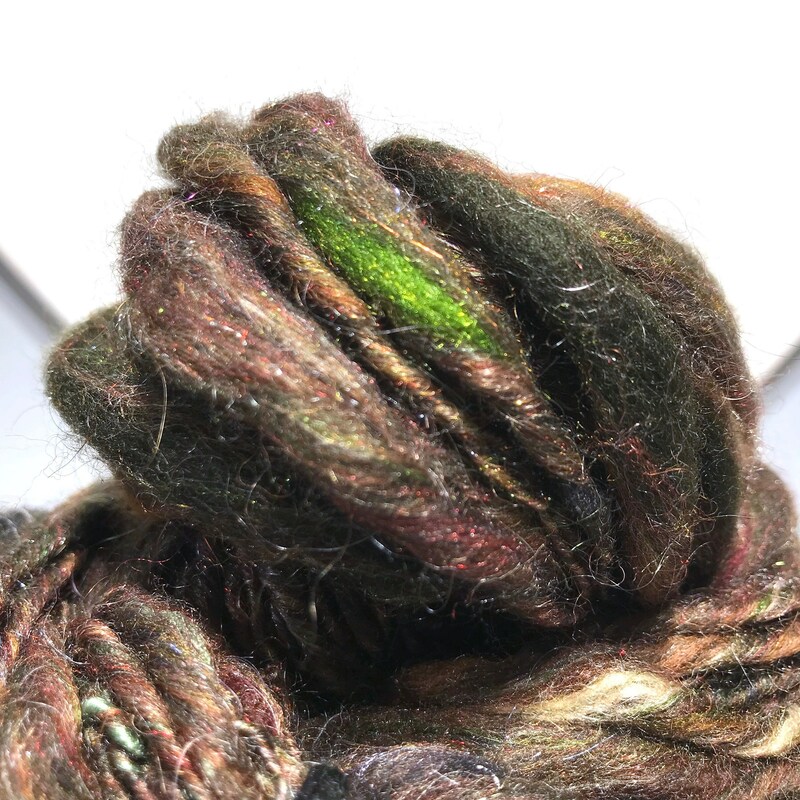 If you want a yarn full of subtle surprises, color and texture, you will love this batt ! 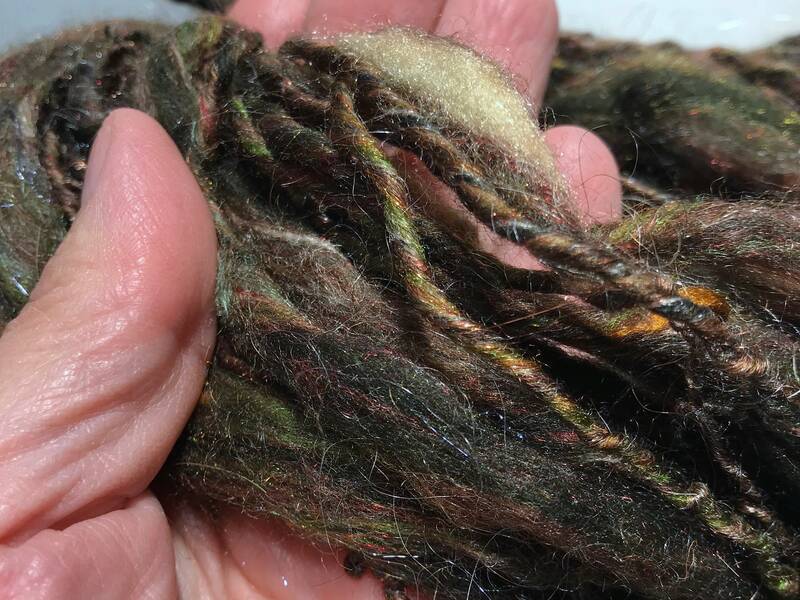 All batted fiber comes in a bio-degradable, plastic sleeve.